The first month of 2017 is now behind us. This means that it’s high time to draw a line and see what themes were in the biggest demand among templates.com customers. We have looked through the general downloads stats and came up with the following 23 templates suited for different business niches and compliant with the latest coding standards. Each of them is unique and boasts peculiarities that cannot be found in other themes of the kind. Look through the chart, watch the themes’ live demos, and check out their technical details. Who knows maybe your future site’s design is already here waiting for you. The theme features a clean, minimalist design, which makes it a perfect fit for building business and financial sites. It includes a fully customizable front page, which can be personalized without any deep coding skills. Leave Calculator and Stock Ticker widgets are included to enhance the overall user experience. 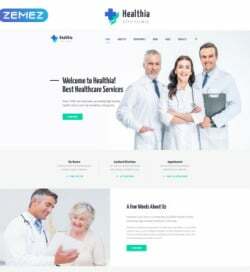 Make use of this theme for building spa, healthcare, and medical websites. Designed in fair tones, beauty salon WordPress theme looks so easy on the eyes. Power page builder makes it possible to come up with the desired look and feel of your future web resource by simply dragging and dropping different design elements. Multiple layout options will only speed up the modification process. Logistics and transportation services websites will look sleek and professional when built on the basis of this responsive website template. A simple, quick-to-scan layout features a cool slider and parallax scrolling animation, which enhance the theme’s visual appeal and provide for a more effective content presentation. MegaMenu stays fixed to the top of the page as the users browse the site’s data. The theme is best suited for selling gadgets and electronic devices. Multi-currency and multi-language support allow building an eCommerce site targeting international audiences. When a user lands on the page, his attention will be captured by a newsletter pop-up. Ajax cart, Ajax search, smart product filtering, and product badges are intended to enhance online shopping experience. 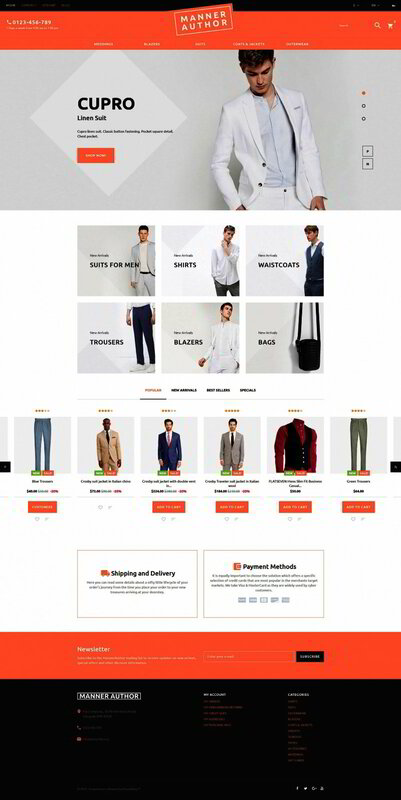 This is a ready-made eCommerce template suited for an array of purposes. It is compatible with the latest Magento 2 version. Several pre-designed skins for fashion, medical, furniture, and spare parts stores are ready to go live out-of-the-box. The theme includes a set of premium Magento modules for free. Family centers can benefit from this theme. It runs on a fully responsive framework, which is intended to adjust flawlessly to any screen size that a user browses it on. Thanks to social login feature, people can log in to the site via their existing social media profiles. Theme color switcher tool is provided to make the personalization of the theme color scheme much quicker and seamless. 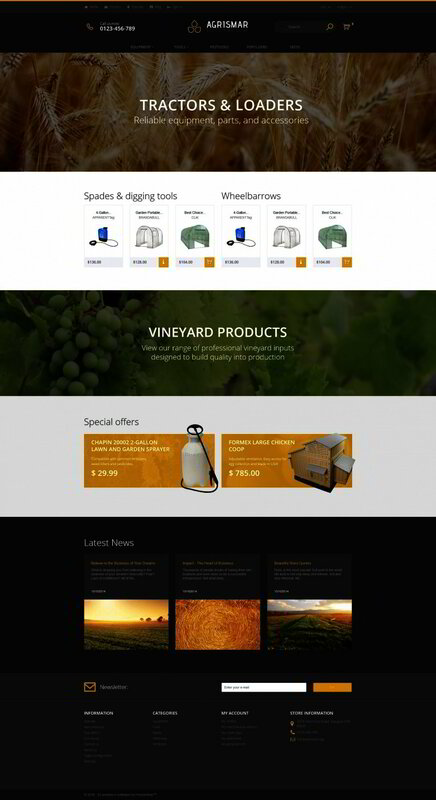 The theme is best suited for presenting agriculture and industrial businesses on the web. Featuring Mega Layout module, the layout can be customized without any deep coding skills, by simply dragging and dropping design elements. Additionally, it includes a set of premium modules that the theme’s owners can use at no cost. Environmental sites are the target audience of this theme. The availability of extra page templates and a rich UI kit make it so much quicker to personalize the theme’s layout. A set of working forms is also included to establish a better relationship with the audience. 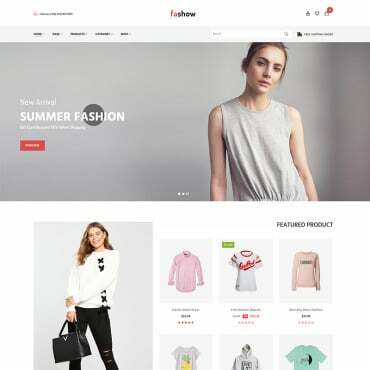 Use this theme for building fashion and beauty web stores. The template is built in fair tones. A spacious layout structure brings the store’s items in the spotlight. The template is mobile- and SEO-friendly. A set of premium PrestaShop modules is included for free. Educational and non-profit organizations will perform perfectly well on the basis of this template. It features a responsive, cross-browser compatible layout that is also optimized for top-notch performance in search engines. Integration of social media options and Google maps widget make the theme far more user-friendly. This is a GPL-licensed construction WordPress theme that is integrated with Power page builder. The availability of Cherry Projects plugin allows you to showcase your creative projects in an appealing yet usable manner. Custom widgets are also pre-loaded into the theme’s pack. Multiple Layout options and content modules are provided for a more diversified presentation of your site’s data. Travel agencies will look both functional and captivating created on the basis of this template. An advanced search panel can be easily accessed at the very top of the theme’s front page. A list of hot deals is quick and easy to scan. Texts and images make up a perfect balance on the theme’s pages, providing for a more captivating browsing experience. 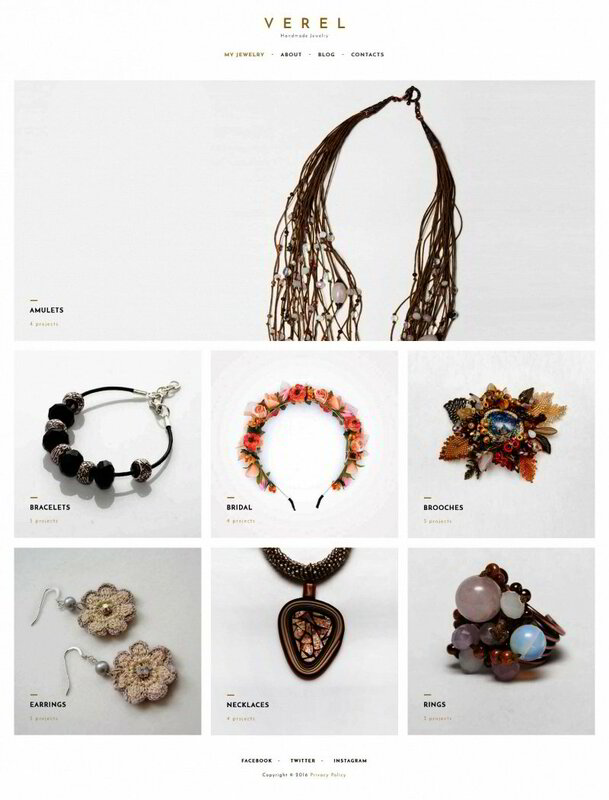 Use this theme to showcase jewelry and accessories in an eye-catching manner on the web. Licensed under GPL3, it can be installed on more than 1 web resource freely. Thanks to Cherry Sidebars module and custom widgets, you can feel the ease of enhancing your site’s presentation in any way possible. 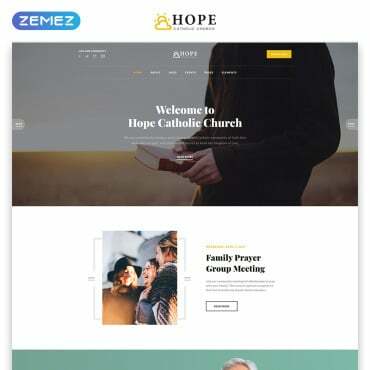 Multiple layout options are included to structure the theme’s pages in a way that provides for better content perception. Artworker is the first PrestaShop theme ever that combines functionality of a web store and a fully-featured online gallery. Any of the latter can be switched on/off whenever necessary. Mega Layout Builder allows you to structure the theme’s pages in a way that you think will perfectly match identity. 3 pre-made layouts are ready to go live straight away. Downloading the theme, you can save about $700 on premium PrestaShop modules, since more than 16 custom solutions are included into the pack. The theme will be especially useful for building travel and sports related websites. 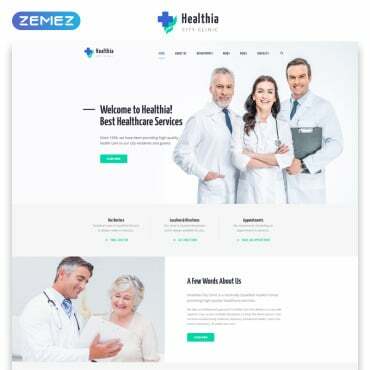 Built with a fully responsive Bootstrap framework, the template is enhanced with a rich UI kit and 45 pre-design HTML5 pages. Multiple header and footer variations are included for a quicker modification of the page. Multiple gallery types gives you the freedom of choice of the most optimal solutions. 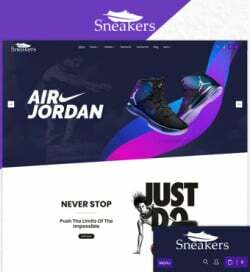 A clean design of the template is enhanced with the parallax scrolling animation, adding more depth to the theme’s visual presentation. Intended for building eCommerce sites, the theme includes live search and a categories menu moved to the left sidebar. Product badges and advanced filtering options are intended to enhance the users’ online shopping experience. The theme is designed to appeal to the avid gamers. The layout is cheerful and color-rich, making all content presented on the pages eye-catching. The theme is fully integrated with social media platforms. Social login feature is supported. Use this theme for photo studios. It features a rich UI kit, which is intended to enhance the theme’s visual appeal to a great degree. The theme is developed to adjust flawlessly to any screen size a site is browsed on. Impressive sliders and galleries are intended for an eye-catching showcase of your creative content. The theme will become a rock-solid foundation of jewelry, accessories, beauty, and fashion sites. It is built with Power drag-and-drop page builder. WordPress Live Customizer is provided to reveal all changes applied to the theme’s layout straight away. GPL license provides the freedom of the theme’s use on an unlimited number of web resources without asking for any additional permissions. 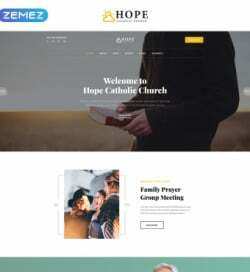 The theme is integrated with Mega Layout Builder. This is an intuitive interface within which one can create versatile pages by simply dragging and dropping different elements. 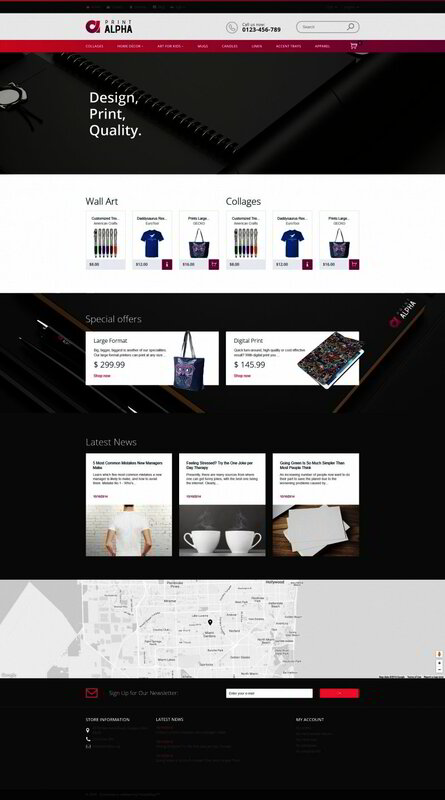 In addition to a fully-featured web store, the theme can be used for blogs and portfolios. The respective functionality is pre-loaded into the pack. 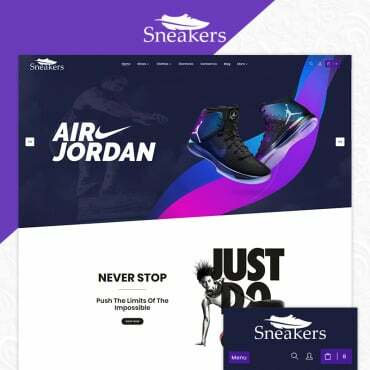 The theme will be a perfect match for web developers and other creative professionals looking for a rock-solid foundation of their personal and business pages. The template includes a built-in contact form, which invites the visitors get in touch with the page owner straight away. A responsive layout of the template is intended to handle content-heavy web projects perfectly well. 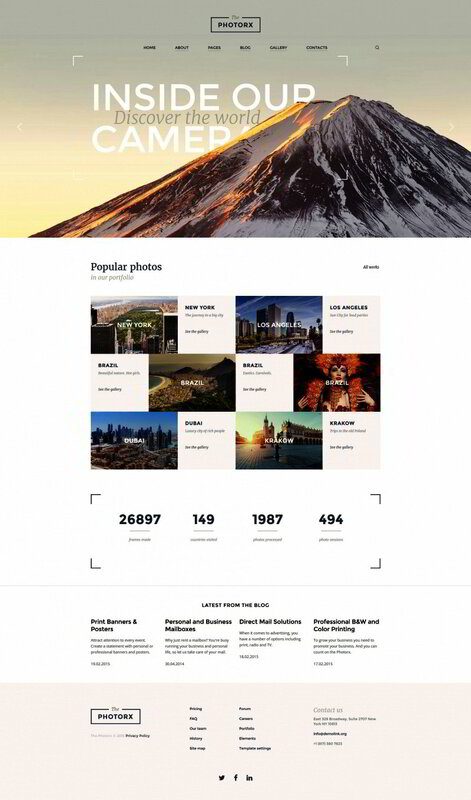 A fully responsive design of this theme will be a perfect solution for presenting photographer and videographer works on the web. The theme is rich in impressive visual elements that are intended for a masterful showcase of your portfolio. Retina ready layout elements will look razor-sharp on the last-generation devices. Vesmall is best suited for selling gadgets and electronics on the web. It is built with usability in mind. Intuitive navigation, advanced search, and smart filtering options make it possible to come up with the desired products in no time. Retina ready images are intended to enhance the visual presentation of the store’s items. There are the 23 top-selling themes for the first month of 2017. As you can see, all of them feature trending designs that will look competitive on the contemporary market. Check out each design in action and go ahead to download it to your own collection of web templates.